Woohoo! I’m so excited about this one! And i feel really proud of myself. 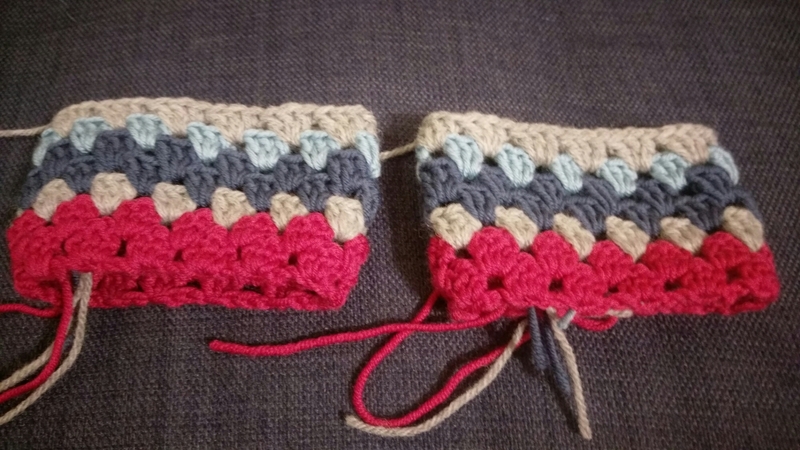 I stumbled across a pattern for granny square gloves and fancied trying it out. But i wanted to include a hole for my thumb to go through, and not just have a long tube as the pattern showed. I really enjoyed the process of deciding on colours of rows as i got to them, and deciding if i would do one or two rows of that colour. Yesterday i blitzed it and ended up finishing them! I did the bit for the thumb hole a couple of times as i was working it out as i went along, so had to undo it and remedy bits that weren’t working, but in the end i got it so my thumb fits comfortably and it looks pretty neat…. I’m so chuffed with myself for doing that. 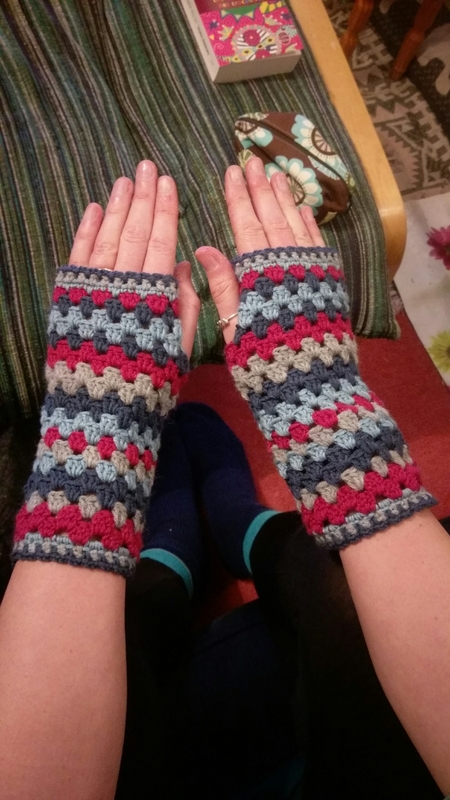 Not only that, i remembered what I’d done and replicated it on the other glove too! 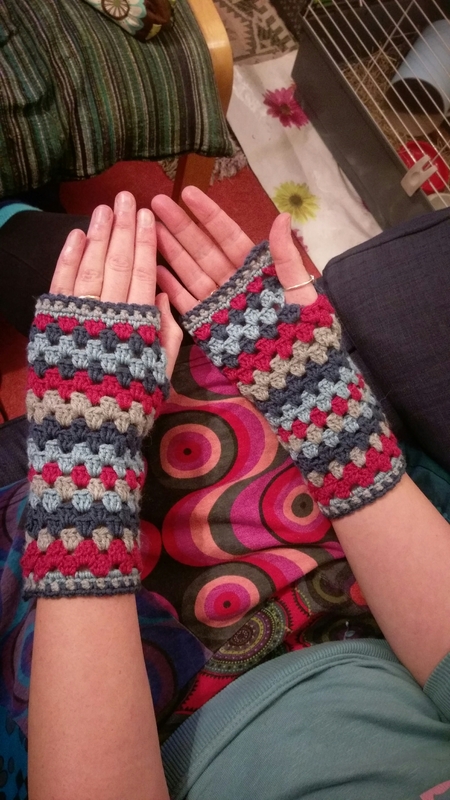 And a lovely new pair of gloves to wear. I’m off now for an evening walk to try them out! Here they are! 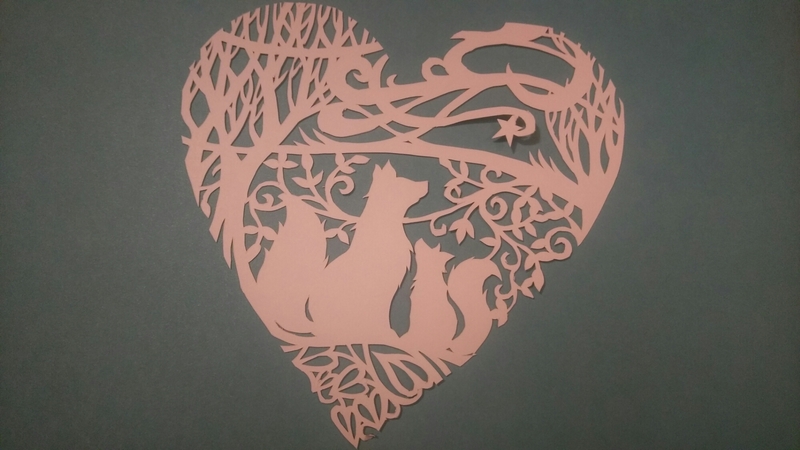 After a helpful prompt from my mum I got on with finishing this project! I liked the idea of backing them with green, like a field, but i also took inspiration from our displays in school and decided to double back it. I chose the blue as i think it goes nicely, and also to follow the symbolism and represent the sky. My spray adhesive had arrived so i opened the windows and sprayed away! 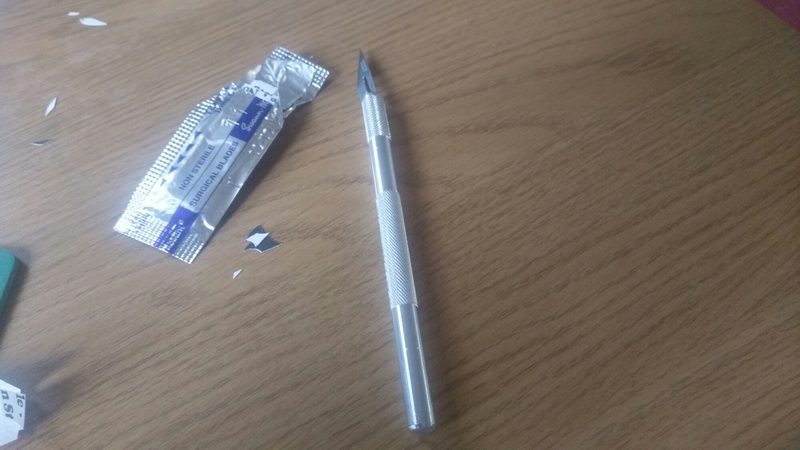 It seemed a lot easier and safer than trying to apply pritt stick to each little part with the end of a cocktail stick! I knew I’d rip bits if i tried to do that. 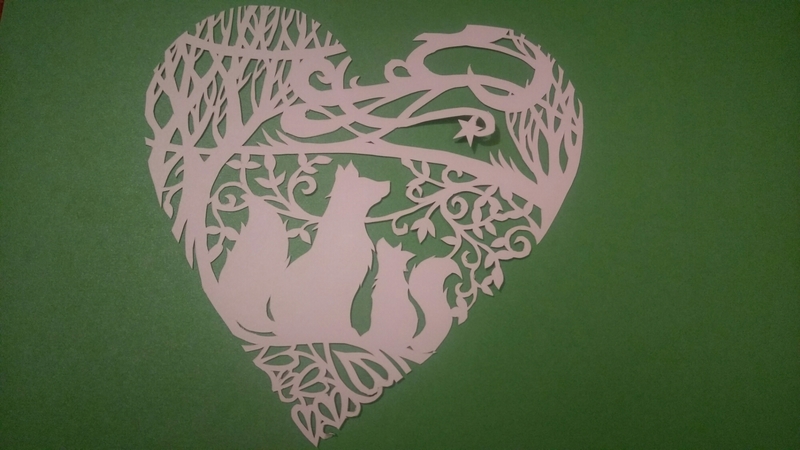 I love the finished effect, and now just need to figure out what to do with it! I think next time i might need to get a frame in advance, and then back it to the right size. This one will have to remain unframed i think. 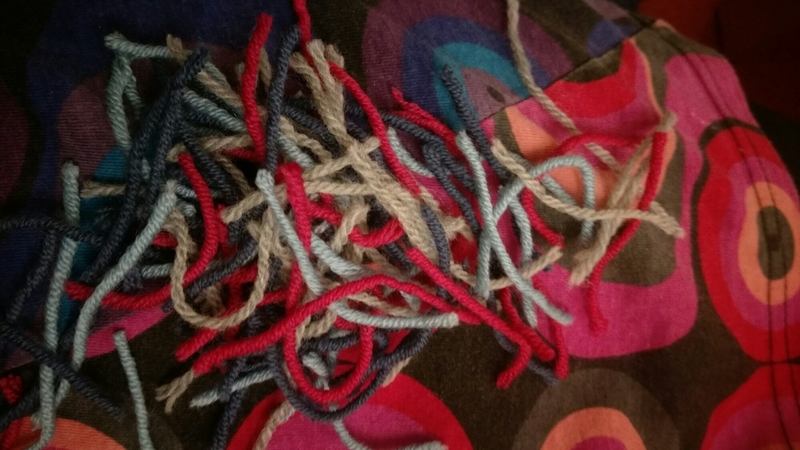 Today i remade the square i unravelled yesterday, which was a bit unnerving given that I’d already cut the ends, but the wool lasted just the right amount! Then i unravelled the oversized square back to the centre circle, and reused that wool to make a square that is now the right size. 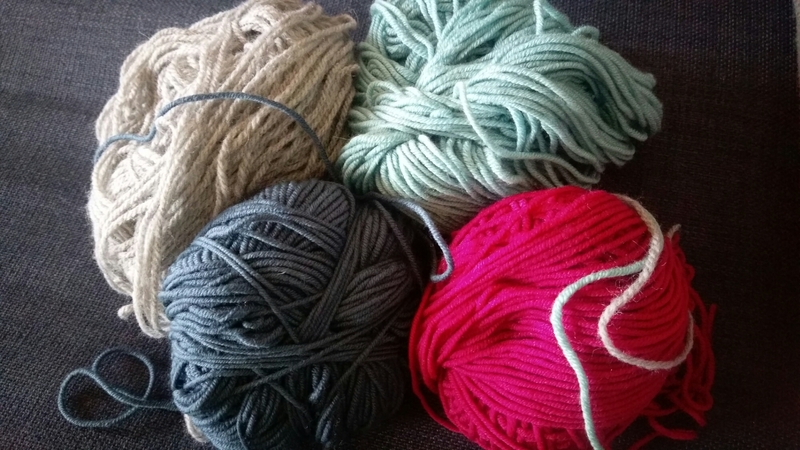 It’s funny that given that I’d added an extra 17 stitches to the second coloured round i still had only just enough wool to complete the round. The next round was the same. But then the final, outside round had tons of wool left over. 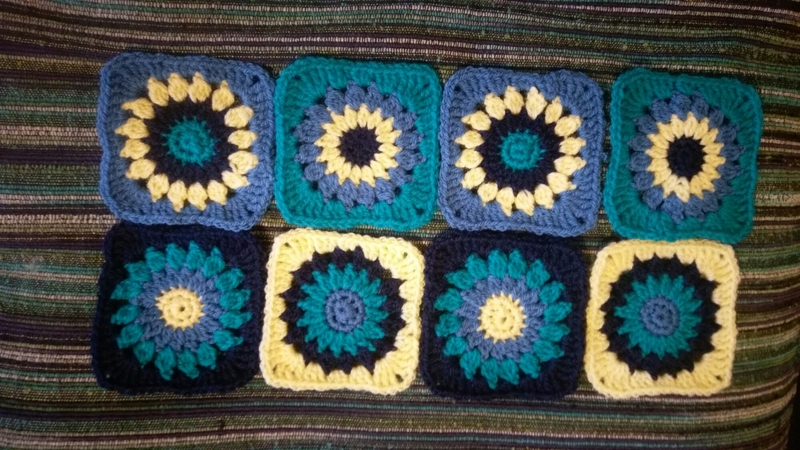 I expected that, given that the square had started bigger, it’s just weird that the other rounds were presumably smaller but didn’t use less wool. Anyway, i feel happier knowing I’ve completed the set of 8 and they’re all even now. I may need a different project for a bit of variety! 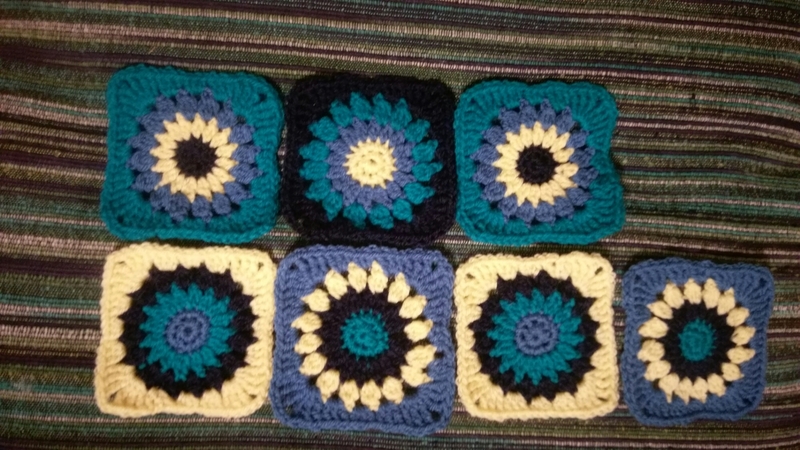 Today I’ve made more granny squares. 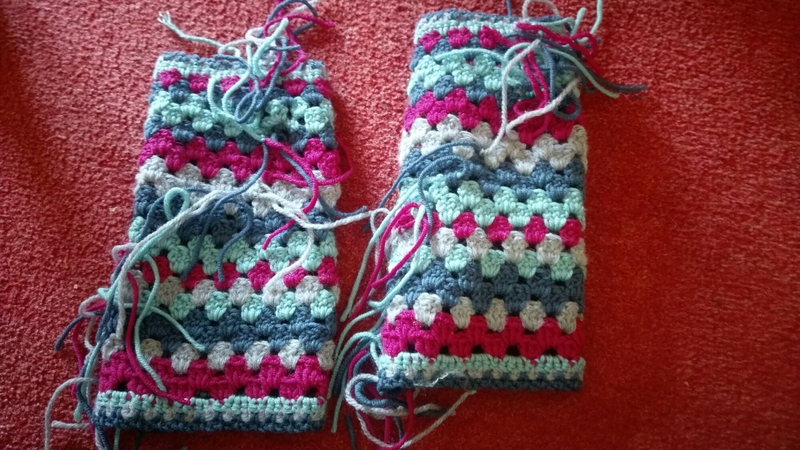 They work up pretty quickly, which is good as I’ve made silly mistakes in several of them and ended up unravelling one or more rounds of crochet. 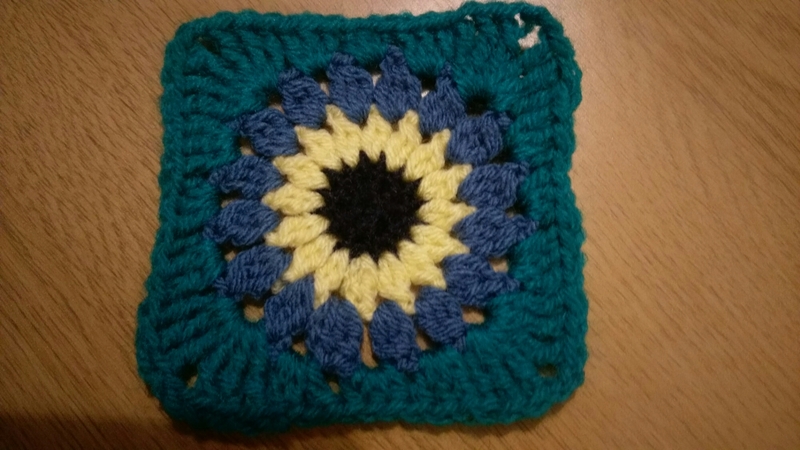 I was going to write this blog once i’d completed the 8th square, but right at the end i realised I’d only done 15 petal seconds in the second and third colours, so as i came up to the last corner on the final round i realised i didn’t have enough gaps to crochet into. Now that square is back to this…! I’m too tired to redo it now, and figure is probably make a silly mistake on it again anyway, so I’ll save it for tomorrow. I also spent time wondering why one of the squares was so much bigger than the others (2nd from left on the bottom row) as my tension is usually fairly even. I think i accidentally added too many chains between sections as i thought i remembered what i was doing. I think that then altered the overall size. I’m hoping it won’t notice too much once i join them together, but I’m probably wrong, and will end up needing to remake that one too! On a positive note, i really enjoy doing the final round when the design turns from a circle into a square. I love how each section increases or decreases in size in what feels like a very satisfying pattern. It’s really cool when the corners start appearing and it feels a bit magical. 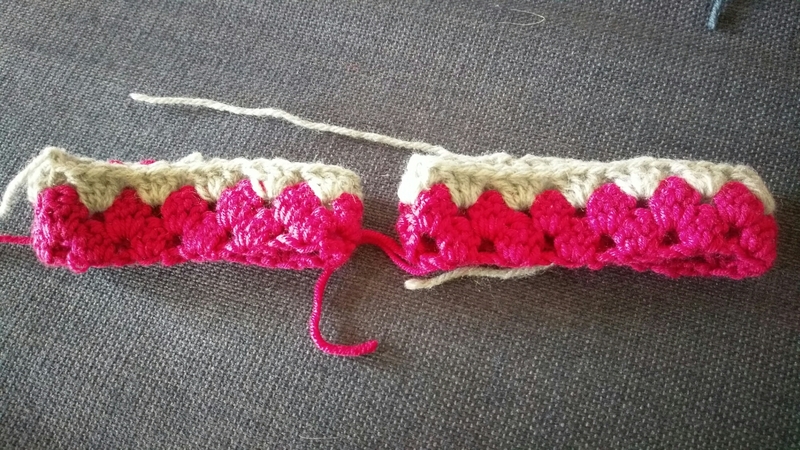 I’ve also enjoyed learning some new stitches, with treble clusters (though i found another pattern that uses this term but means something different! Thank goodness for patterns that include step by step photos and instructions to make things clear! ), and a double treble stitch where you wrap the wool round twice before starting the stitch. And finally i love how each square is a finished product on its own, but will be part of something bigger in the end. Oh, and also, i love how they make me feel like I’m not so lazy when I’m sitting watching box sets on tv! 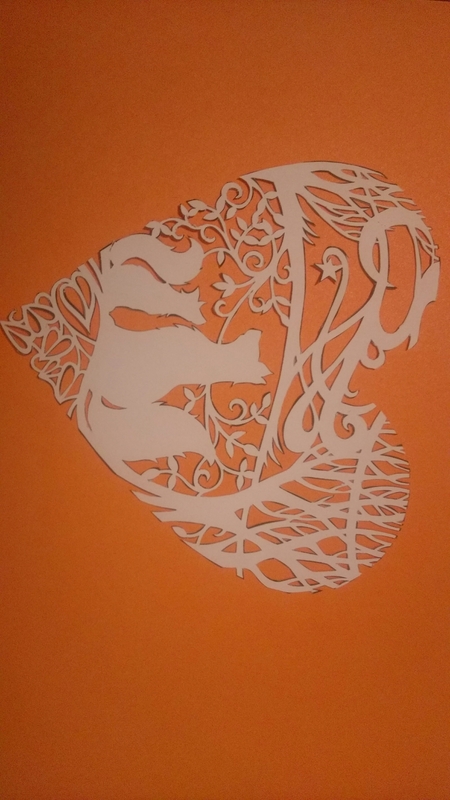 Here’s my completed rabbit! I think she’s cute and hope my friend’s little girl likes her. I didn’t follow the pattern exactly as i just pulled the bottom part tight rather than folding the corner up to the neck. I realised that a benefit of using variegated wool is that you can’t see the stitching so much, so i didn’t have to worry how neat i was being with my sewing! 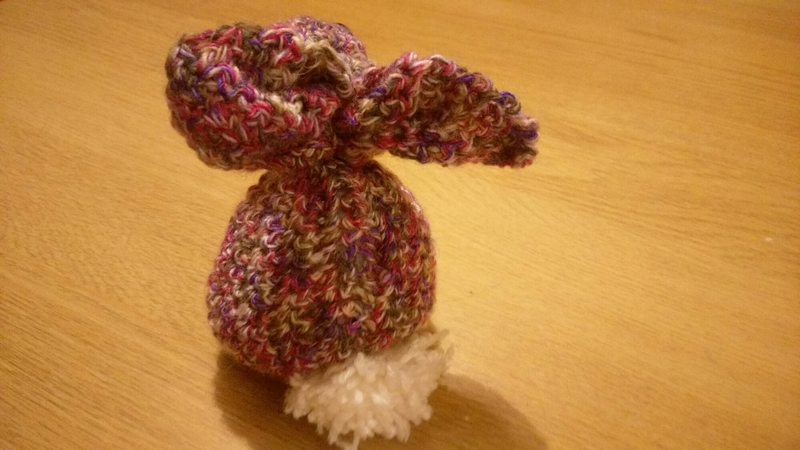 I made the pompom by winding wool around two of my fingers and then wrapping wool round the middle to hold it tight. I then sewed it on before cutting the loopy bits so i didn’t unintentionally catch up any of the ends. Then i went on the hunt for a new project. One that wouldn’t involve continually looking at a pattern or counting stitches, that i could do while chatting to people or watching tv. 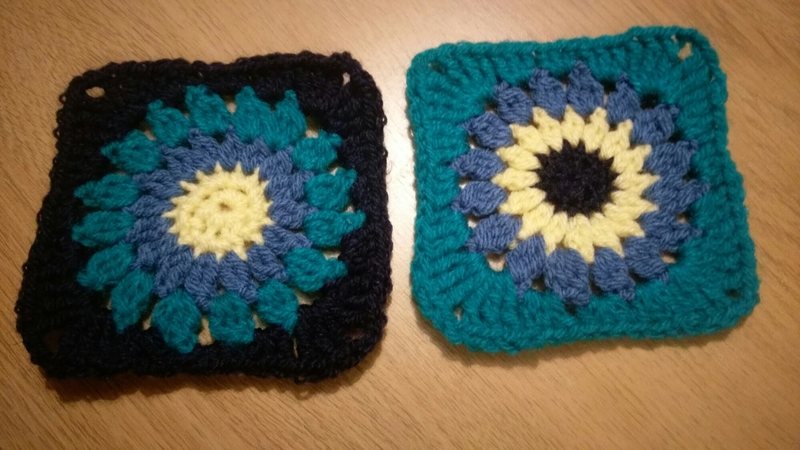 I found these rosie posie granny squares by cherry heart. I thought they looked really pretty, and i loved the name. My god daughter is called rosie, as is one of our guinea pigs (she came to us with that name) and i often call her rosie posie. 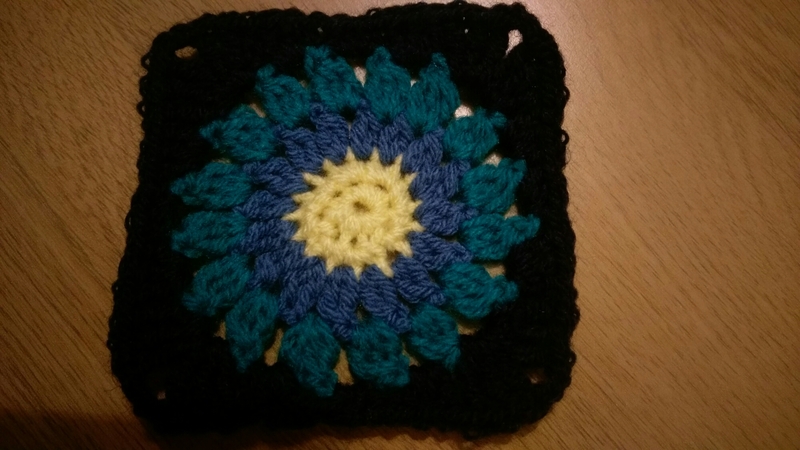 Previously the only granny square i’d ever made was a ridiculously loose one that was my first ever attempt at crochet. Somehow it was so loose you could see individual strands of wool rather than stitches! I guess it goes to show that you definitely can improve with practice! This is the first one i made, which i was a bit tentative with. The navy wool doesn’t behave very nicely either and doesn’t always crochet up very neatly. 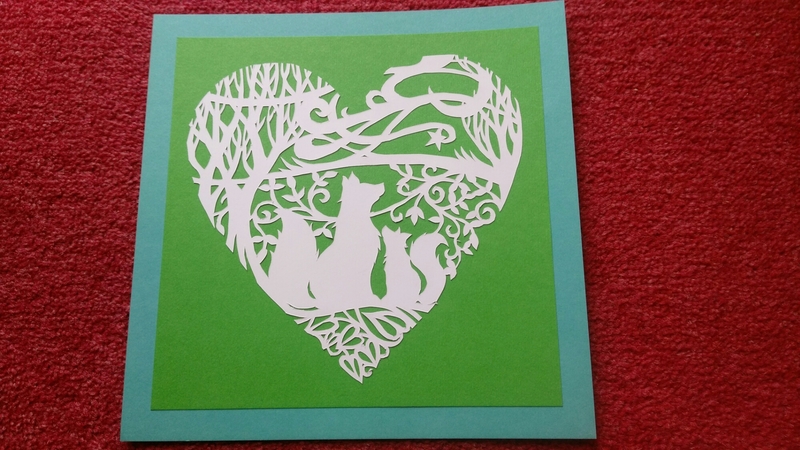 The second one i did a little bit tighter, and it all looks a bit neater. They’re strangely addictive and fun to make, so I’m going to keep going with these for a while and see how far i get. Then I’ll figure out what to turn them into! After work today i met with my friend hannah in a local cafe to chat and crochet. 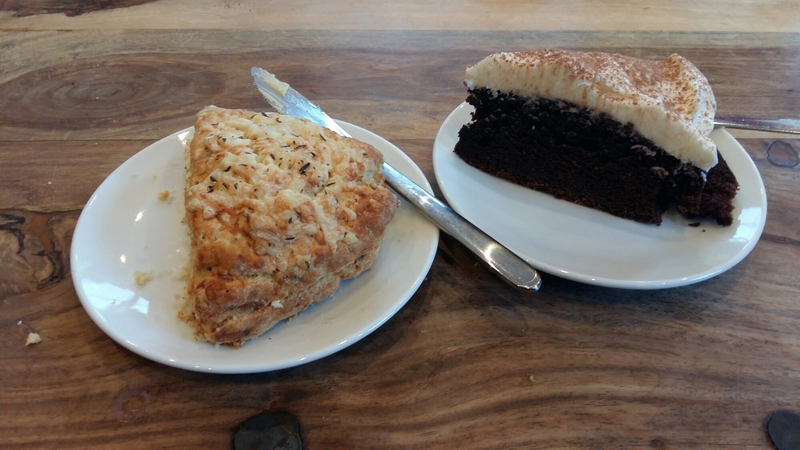 So i sat with a yummy cheese and apple scone, chocolate guiness cake and an apple and cinnamon drink and decided that would do for my tea! 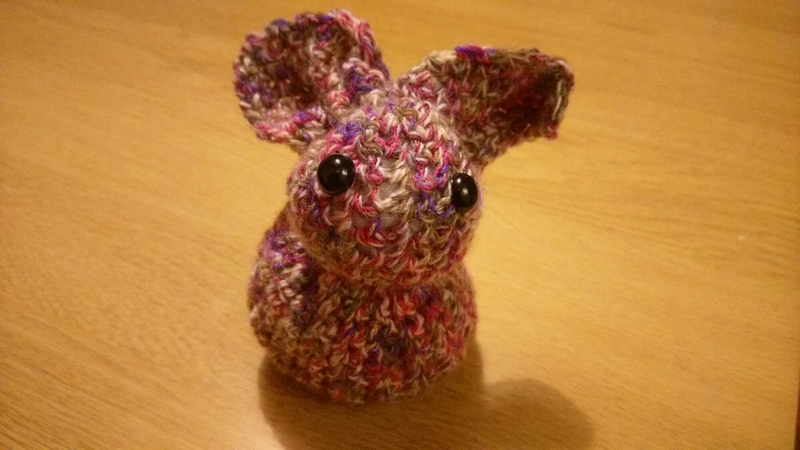 Another friend of mine had requested that i make a crochet rabbit for her daughter, which you can make from a square of knitting or crochet, so i started that there. 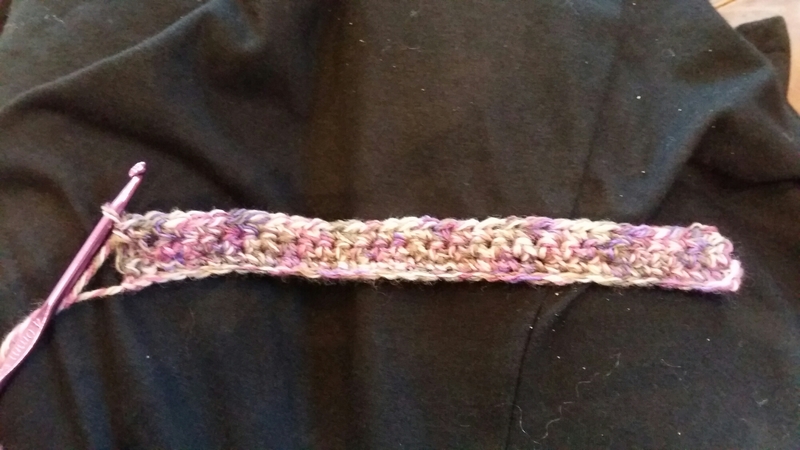 Normally i hate the first row of crochet, going into the chain, but today i concentrated on not making it too tight, and it was way easier. What was trickier was remembering to stop crocheting to eat my scone and drink my drink before it got cold! 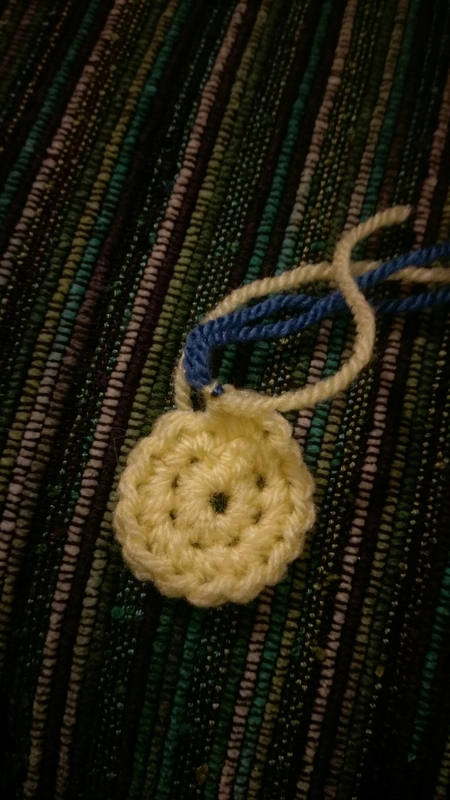 I really enjoy chatting and working on crochet that i don’t have to think about. 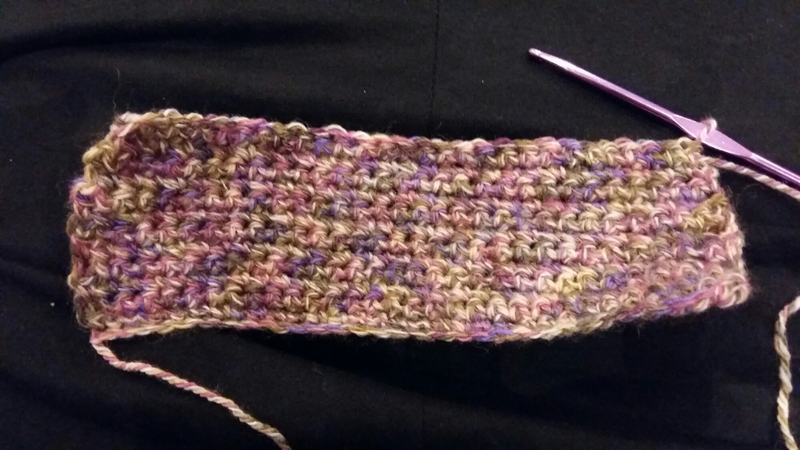 This was just rows of double crochet, so i didn’t have to concentrate on it too much. 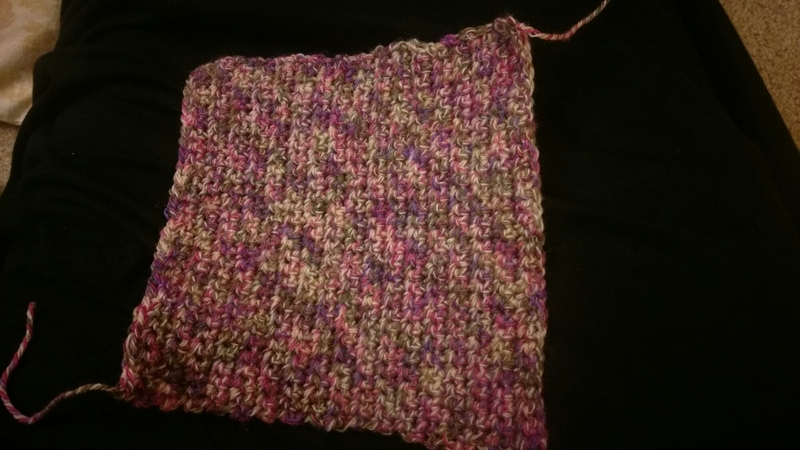 It was great to catch up with hannah, and get started on the rabbit square. This evening i carried on with it at liz’s birthday pudding evening. We sat around chatting and laughing, and eating cakes and puddings! 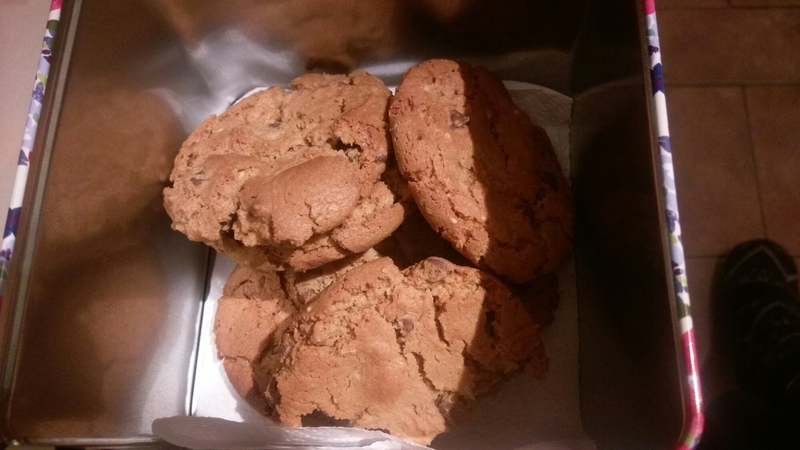 I’d made peanut butter and chocolate chip cookies earlier in the evening to take with me… A recipe I’d got from another friend but that I’d not made before. They worked pretty well even though i had to extend the cooking time because i made them bigger than they were meant to be (12 cookies from a recipe that should make 24!). By the end of the evening the square was finished and I’d caught up with lots of friends! 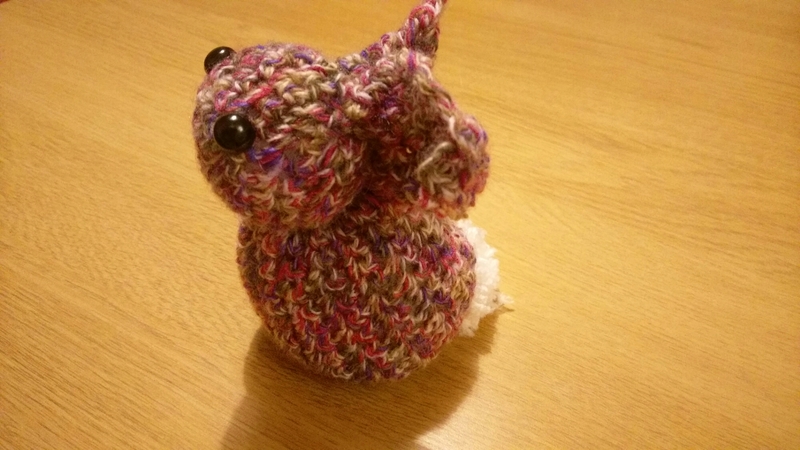 Sewing and stuffing the rabbit will definitely have to wait for another day as it’s bedtime now! Another half an hour and they were done! I’m really pleased with how they look. Sorry the photo’s the wrong way round, i can’t work out how to rotate it! 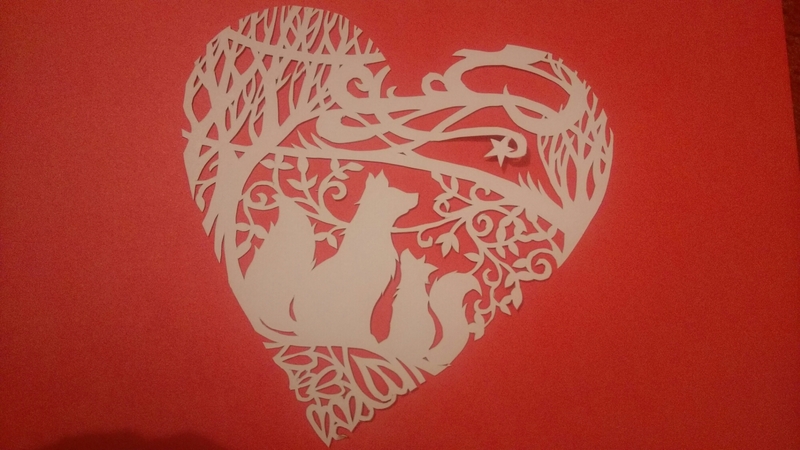 I’m really pleased that they also look quite neat on the cut side, where you cut away the black parts. I know a couple of my branches are a bit thicker or thinner than they should be, but I’m glad i’ve mainly manged to cut along the lines! 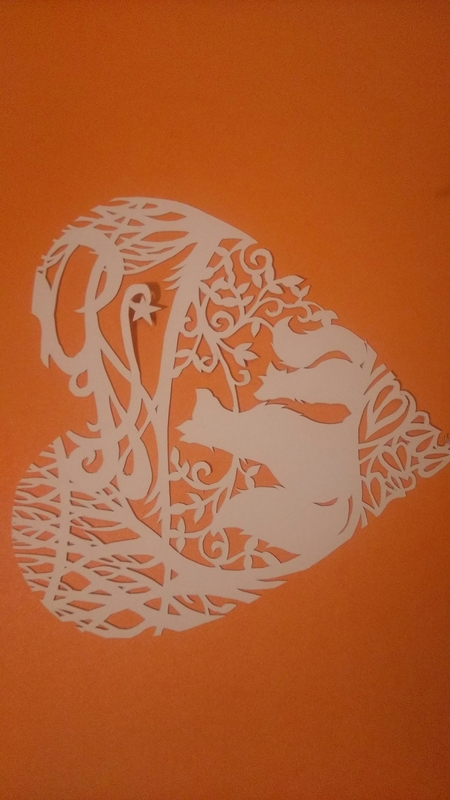 I experimented a bit with different blades. The paper panda book recommends a number 11 swann morton surgical blade. I started with that and quite liked it. It felt sturdy, but bends so you can do nice things on curves. They also suggested you could try a 10a or a 15. In my original order i ordered several of each. I’ve discovered i really do not like the 10a at all, and won’t even use them just to finish the packet up. They’re too hard and they sit wonky in the handle i have which makes them very awkward to use. I quite like the 15 as it has a much shorter blade. I’ll try that out a bit more before deciding which I’ll order more of!